As the field of cosmetic dentistry produces amazing advances in technology every single year, there is one dental appliance that has been a mainstay for dozens of years: veneers. Our West Hollywood dental veneers specialist can provide these amazing appliances to anyone that would like to restore the appearance of their teeth, no matter their current condition. We believe that every patient should understand some of the amazing benefits of veneers and if they may be a good candidate for this treatment. Veneers are wafer thin pieces of porcelain that are custom-manufactured for patients that would like to transform their smile. Our West Hollywood dental veneers specialist applies them to the front of teeth with a powerful bonding agent that could keep them in place for 15 years or longer. Our specialist for dental veneers in West Hollywood will begin this two-step process by giving a patient a thorough oral examination. During this time, we will ensure that the patient has healthy teeth and gums and will make a good candidate for these appliances. Patients will then have a microscopic layer of their teeth scraped off. This is done to make room for the veneers as well as create a better surface for the bonding agent to be applied to. A very detailed impression of the teeth must then be taken and the measurements sent to a specialty manufacturer. During the next appointment, our specialist for dental veneers in West Hollywood will then apply the veneers and ensure that they are the right coloring, size, and shape. We may request a third appointment to inspect the veneers to double check the coloring and positioning. 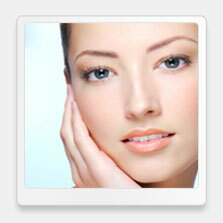 These are the perfect solutions for patients with countless cosmetic issues. They can be used to mask intrinsically discolored teeth, minor gaps, and other forms of damage. 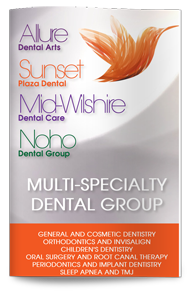 Once the veneers have been applied by our West Hollywood cosmetic dentist, patients will enjoy a beautiful smile that can be taken care of with only the traditional oral hygiene habits such as flossing and brushing. If you or anyone you know would like to reinvent their smile, contact our dental office today and take that first step towards a new appearance. To learn more about veneers, visit ADA.org.